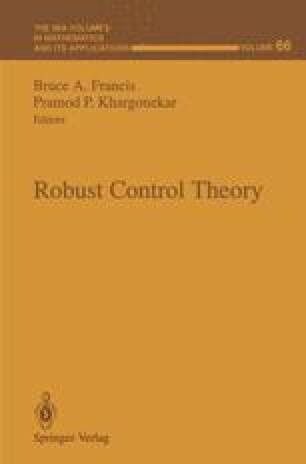 This paper gives an overview of promising new developments in robust stability and performance analysis of linear control systems with real parametric uncertainty. The goal is to develop a practical algorithm for medium size problems, where medium size means less than 100 real parameters, and “practical” means avoiding combinatoric (nonpolynomial) growth in computation with the number of parameters for all of the problems which arise in engineering applications. We present an algorithm and experimental evidence to suggest that this goal has, for the first time, been achieved. We also place these results in context by comparing with other approaches to robustness analysis. The authors would particularly like to thank Jorge Tierno, who assisted in generating the results in section 7, using a new lower bound algorithm he developed. We would also like to thank Andy Packard, Michael Fan, Carolyn Beck, Ragu Balakrishnan, and Stephen Boyd for useful discussions, and Gary Balas who provided us with some engineering problems in section 6.4. This work was supported by NSF, ONR, NASA, and Rockwell.